To book a tour with us visit our online booking page, stop by our office located on the lobby level of the Hilton Whistler Resort or give us a call at 604-905-7002. Please meet 15-20 minutes prior to your tour departure inside of our office on the lobby level of the Hilton Whistler Resort. Pick ups from many major hotels are also available upon request, or you can drive yourself to our base facility located in the Brandywine Valley. For directions to our base simply search for “Brandywine Base Facility” on Google or Apple Maps. Snowmobiling involves many risks, dangers and hazards. These risks and hazards are outlined in our release of liability, waiver of claims, assumption of risks and indemnity agreement which participants are required to read and sign before participating in our snowmobile activities. This agreement will affect your legal rights should you be involved in an accident. You may obtain a copy of the agreement from our office. You must be 19 years old or over to sign the waiver yourself, all of those under 19 must have a parent or legal guardian sign on their behalf. We require 24 hours notice for any changes or cancellations. Tours cancelled or changed within 24 hours of their departure are subject to full payment. 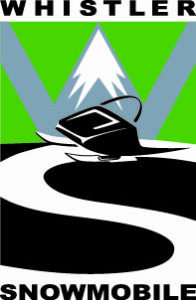 Whistler Snowmobile reserves the right to cancel or combine any tour due to inclement weather, unforeseeable hazards or insufficient bookings. Prices are quoted in Canadian funds and are subject to tax. Collision coverage of $20 per driver is mandatory on the Fresh Tracks and Cruiser tours. A credit card imprint for damage deposit is required for all other tours and rentals.